After a journey by train and bus I recommenced the walk from Bourne End by crossing to the south side via a footbridge attached to a railway bridge. 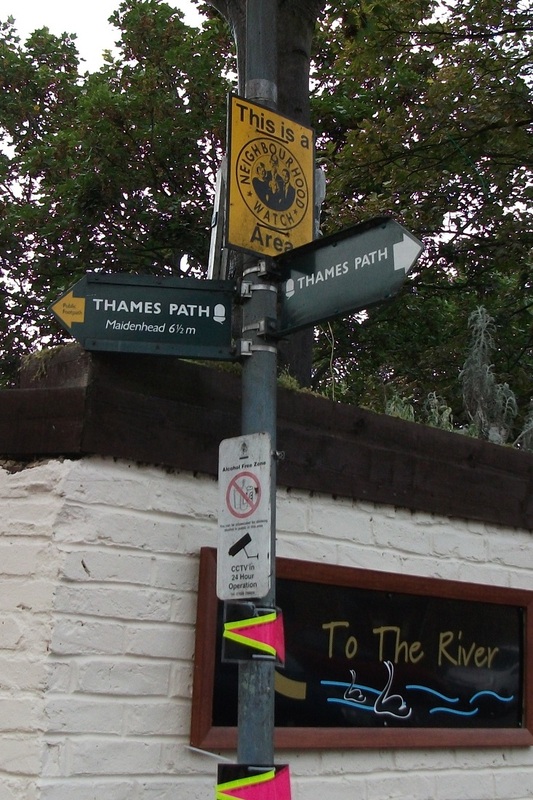 Here I found the conclusion for some of the Thames Path Challenge walkers and runners. 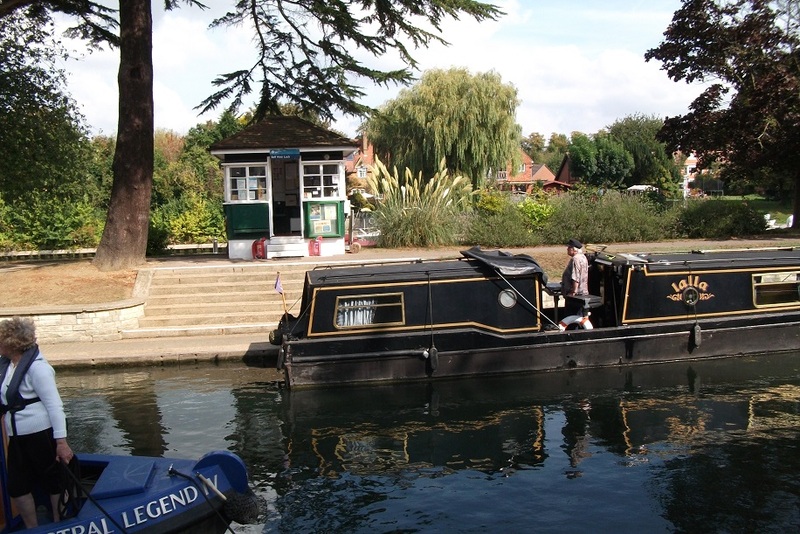 Some would be going along to Henley-on-Thames, a further 12 miles. I was to meet many of these participants during the day, predominantly in their favoured charity T-shirts. I had to leave the towpath at Cookham and walk through the village. Back by the river, the path was narrow and wooded up to Boulters Lock. 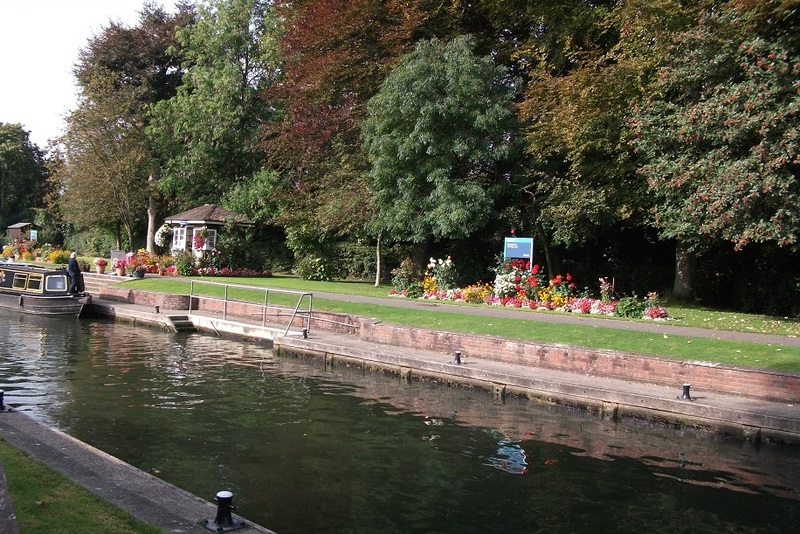 I crossed the river again at Maidenhead and walked on to Bray Lock, where I stopped for lunch. After going under the noisy M4 I walked on near the Olympic rowing venue at Dorney. 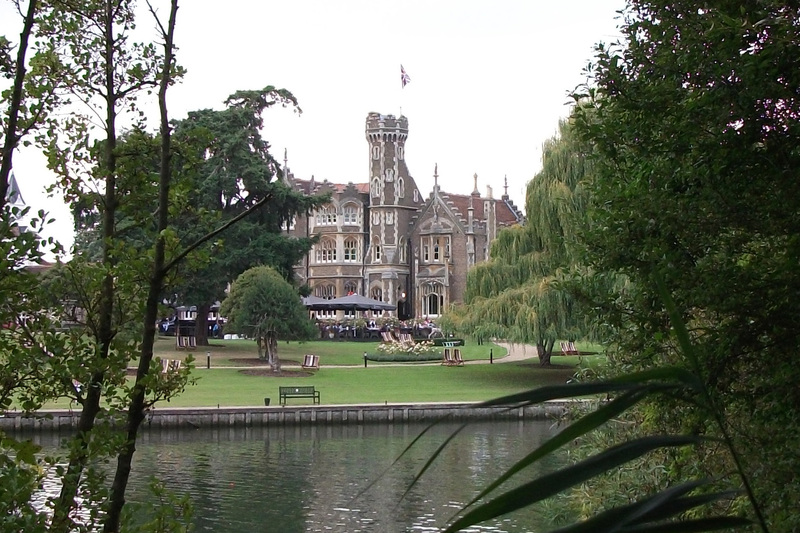 On the other side of the river I saw someone's Victorian Gothic fancy in Oakley Court. Boveney Lock followed with Windsor Racecourse on the other side of the river. 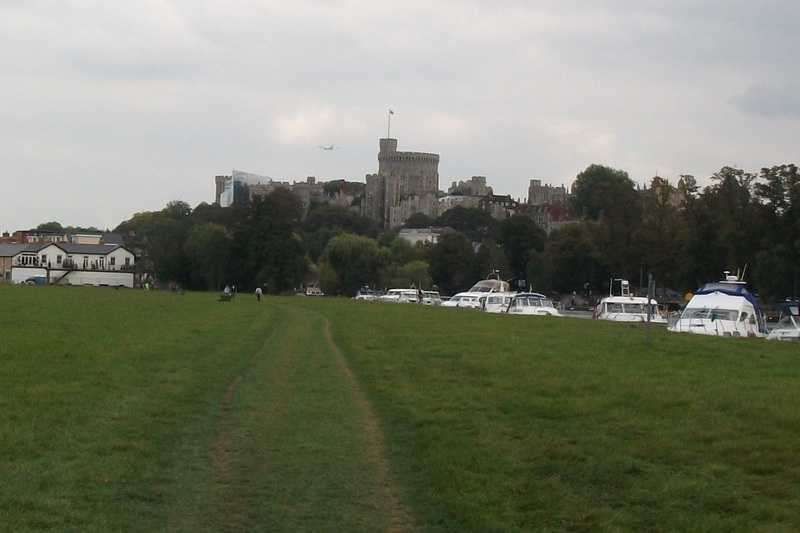 Then it was across fields to Eton and over the pedestrian bridge to Windsor. From there I went to find my B & B for the night. An early start from my B & B, passing Romney Lock and coming to the Crown Estate where the towpath is closed for security reasons, I crossed the river and walked through Datchet until I could cross back to the south side again. 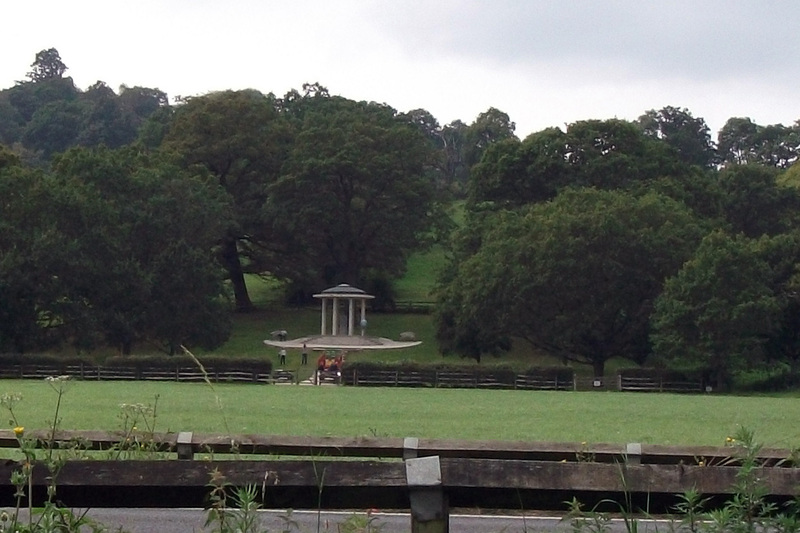 Old Windsor Lock followed and then I was walking across Runnymede past the Magna Carta Memorial. After this it was Bellweir Lock and the thunderous M25. From here to Staines the towpath goes past many houses, large and small with gardens leading to the river. The path goes through the gardens between the house garden proper and the landing stage belonging to each property. 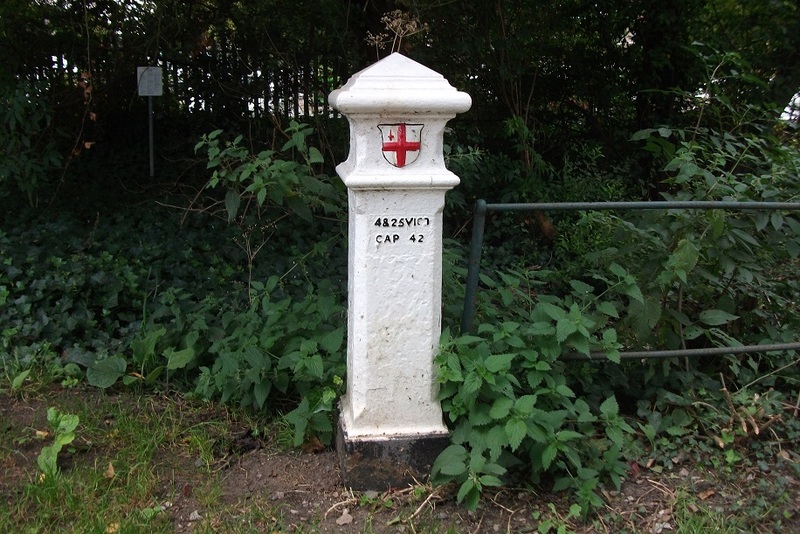 I passed a white iron post or "coal post" which warned merchants that they had to pay a levy on the coal that they were carrying. I crossed the bridge at Staines and after a while left the path to catch the train home from Staines. Romney Lock Sign Post near canal Magna Carta Memorial Bellweir Lock "Coal" post"